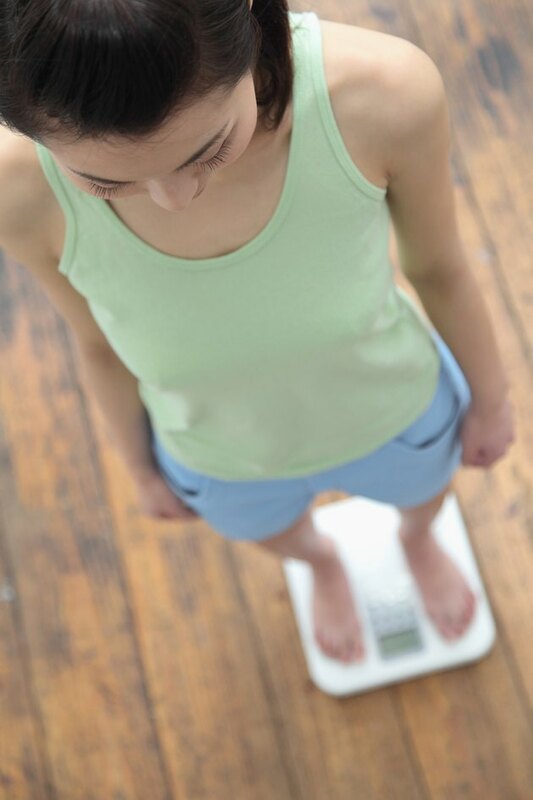 That big event you want to look your best for is coming up in just over a month, and you want to calculate how many pounds you can drop before then if you commit to eating low-carb. The answer really depends on the strictness of your low-carb regimen, your age and how much weight you have to lose -- younger men and people with more weight to lose tend to drop pounds most rapidly. An extremely low-carb diet is likely to yield faster immediate weight loss, but a less restricted level of carbs may be easier to follow for five weeks. Before figuring out how much weight you can lose, understand why low-carb will help you lose it. First, when you reduce carbs, you cut off a major source of calories -- so you're eating less. On a low-carb diet, you'll probably find yourself eating more protein, which increases satisfaction and takes slightly more calories to digest than carbs and fats. Your appetite will most likely decrease on the diet, too, so you may feel less hungry and have fewer cravings for sweets and other foods with "empty" calories. Eating low-carb also reduces insulin levels. Insulin is a hormone that your body releases in reaction to eating sugars -- whether they come from a can of soda or a bowl of pasta. Too much insulin drives your body to store fat. You also drop a fair amount of water weight when you eat low-carb. One reason is that your kidneys release sodium -- and water -- in response to the lower levels of insulin in your blood. You also lose fluid because the stored carbohydrates in your muscles, also called glycogen, are bound to water, and as you use them for energy, the water is released. An "extremely low-carb" diet contains 50 grams or fewer of carbs per day. This plan leads to the most rapid weight loss on a low-carb plan but isn't without its side effects. The first phase of Atkins, which permits just 20 grams of carbs daily, is such a plan. According to the Atkins website, it's possible for some people to lose 7 to 15 pounds in the first two weeks on the plan. For another perspective, DietDoctor.com did a survey of 7,000 people following a 20-grams-per-day low-carb diet, and more than one-third of the people lost 3 to 6 pounds in the first two weeks. About one-fourth of the dieters lost less than 3 pounds, but another one-fourth lost more weight -- between 6 and 15-plus pounds. Usually, a person with a considerable amount of weight to lose will see the most dramatic results. Your exact loss depends on your age, gender and activity level, too. After those two weeks, weight loss may slow down even if you stick with 20 grams or fewer of carbs -- but it might be possible to drop another 6 pounds in the next three weeks, so that those on the high end might lose as much as 21 pounds in five weeks. Again, other people will lose fewer pounds than that, and how much you ultimately lose depends on your individual metabolism along with your age, gender and activity level. Phase 2 of the Atkins plan begins with a very low intake of 25 grams per day but adds carbs weekly to find your tolerance point, giving you more freedom in terms of what to eat. The Atkins website says to expect to lose about 10 pounds in five weeks when following the lower end of this carb-intake range. The reason why you lose weight more rapidly on such an extremely low-carb plan is because it pushes your body into a state called ketosis. Ketosis is when your body switches from using carbohydrates for fuel to ketones, which are produced from the breakdown of fat and then used for energy. Your body effectively becomes a fat-burning machine, so you drop weight relatively easily. A very-low-carb -- or ketogenic -- diet is low in carbs, so you make up for it with protein and fats. You must eat a considerable amount of the nutrients to prevent your body from going into starvation and breaking down lean tissue, such as your muscles. You'll eat proteins such as poultry, beef, fish and eggs. Fat sources include olive oil, butter, cream, animal fats and coconut oil. Small servings of avocado and nuts are also permitted, but these sources do contain some carbs. A "moderately low-carb" diet contains 100 to 150 grams of carbs per day, which is a reduction in carb intake from what many people eat, whereas a "low-carb" diet reduces intake to 50 to 100 grams of carbs per day. In contrast, the standard recommendations are that 45 to 65 percent of daily calories should come from carbs -- that's 225 to 325 grams per day if you follow a 2,000-calorie diet. Even though 50 to 150 grams is fewer than the norm, it isn't low enough to push your body into ketosis. You can lose weight by consuming this level of carbs, but you'll probably have to monitor portions and track calories as well as carbs. You'll likely lose an average of 1 to 2 pounds per week, resulting in 5 to 10 total pounds of loss in five weeks. Examples of low- and moderately low-carb diets are phases 3 and 4 of the Atkins plan, when you introduce even more carbs weekly to find an intake level that helps you maintain your weight. Only you know what your goals are in terms of weight loss and what kind of side effects you can bear. A strict ketogenic diet is effective but comes with a period of adaptation. In the first few days, and possibly weeks, your body is making a transition in fuel sources. This results in the "keto flu," a time during which you may experience fatigue, headaches and grouchiness. Some people have more serious side effects, such as nausea, sleeplessness and dizziness. The ketogenic, or extremly low-carb, diet is best for those who have a lot of weight to lose and/or have metabolic dysfunction, such as type-2 diabetes or prediabetes. Always check with your doctor before starting such an extreme plan. The more moderate low-carb diets are for you if you're OK with a gradual rate of weight loss. They also afford you more food options and make dining out and social occasions easier. You'll still be able to enjoy a piece or two of fresh fruit daily and, on a moderately low-carb diet, even small servings of grains and starchy vegetables. Authority Nutrition: How Many Carbs Should You Eat per Day to Lose Weight? DietDoctor.com: How Much Weight Do People Lose on the Low-Carb Challenge? What & How Much Can You Eat on a Low-Carb Diet to Lose Weight?